The independent music label, Merge Records, is turning 25 this year. In collaboration with Bull City Running Co., they are giving to others with the Merge 25K road race. The hope is to collect donations for the Food Bank of Central and Eastern North Carolina and Habitat for Humanity of Durham and Orange County. The race will take place on Saturday, March 22. 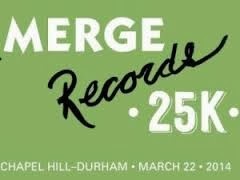 The course will begin in Chapel Hill where Merge Records first opened its doors and will end in downtown Durham, the label's current home. Registration is open now and will run through race day. To enter, go to Sportoften.com, the cost of the race is $85. Upon registration, racers will receive a free three month MVP membership to MapMyRun mobile app courtesy of MapMyFitness. Merge is throwing quite a party for the post race celebration. 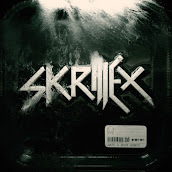 This event will take place at Motorco Music Hall in Durham. Plenty of entertainment will be provided by The Love Language & Vertical Scratchers, Durham's own Bouncing Bulldogs, and DJing by Superchunk's Mac McCaughan. For additional details about the course map, hotel information, training help, and prizes, check out Merge Record's website.